Audi proudly presented its new electric SUV in California, and a large internet company is part of the fun. Amazon will not only integrate its Alexa assistant in this and future vehicles from the brand, but it will also play middleman for those looking to hire electricians to install the charging station in their home garages in California. 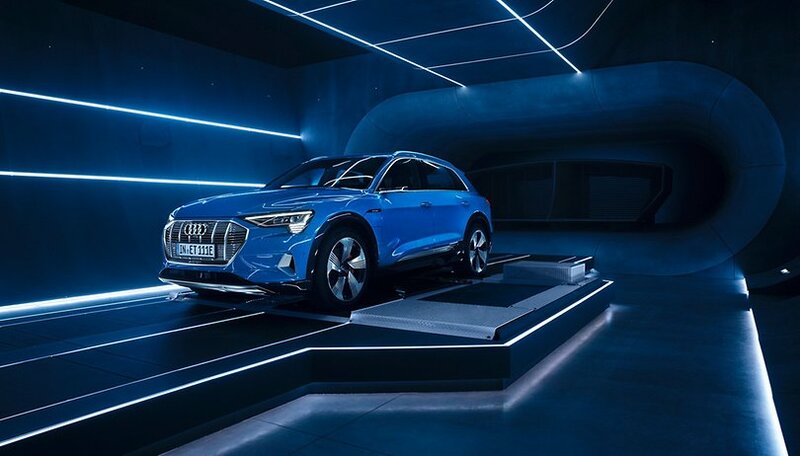 The fact that Audi introduced its new SUV model, the E-tron, in California and not anywhere in Europe, may seem surprising at first glance. But, in the course of the unveiling, it quickly became clear why the company decided to do so. Because with this car, as with all other electric vehicles, it's all about charging infrastructure. In the wake of the diesel affair, the established VW supply company, Electrify America, wants to build 2,000 new public charging stations in North America by June 2019. Audi also has a $1,000 charging station which customers can have installed in their own garages. And this is where Amazon comes into play. Since 2015, Amazon has offered a service platform in the US called Amazon Home Services, and this is where you will be able to make an appointment with an electrician who can install the charging station for the E-tron in your garage. It's doubtful that the cost of installation is included in the $75,000 purchase price of the vehicle, though this wasn't mentioned on stage according to The Verge's report. The charging station itself will cost $1,000. That's twice as much as Tesla's charging station, whose installation is arranged by Tesla itself. In such installations, the home photovoltaic system could then be connected directly to the Audi E-tron. The battery of the electric SUV could then be used as a battery for the whole house. Also, a connection to the power grid is provided if needed. Amazon's second victory comes in the form of Alexa, its voice assistant. This is part of the infotainment system. A separate Verge report explains that the functionality of Alexa in the Audi largely corresponds to the Alexa in Echo devices. Music control, weather info, to-do lists or online orders can be done. Even the smart home devices in the house (such as the garage door?) can be controlled remotely. Other commands can be created by developers through the Alexa Auto SDK (Software Development Kit). According to the report, activation is optionally also possible at the push of a button, rather than by calling out the "Alexa" activation word. Obviously, Audi has renounced its own assistant branding, unlike BMW with its "Hey BMW!". The voice assistant will also be used in future Audi models. The E-tron brand will be used for the first time at Audi for a completely new product range. In addition to being the first all-electric SUV from the company, the Alexa voice assistant has now been integrated into the system. This is a big step toward cars being more like an extension of our home. On the one hand, both the house and the vehicle are served with the same interface. On the other hand, the vehicle becomes an integral part of a stable energy supply in an ecological power grid. What do you think of the Audi E-tron? Does the electric SUV appeal to you? Sorry but the last thing I want in my car is Amazon's spy machine. I do not want or need any of these voice assistance spy ware devices but they are being shoved down our throat from everywhere.